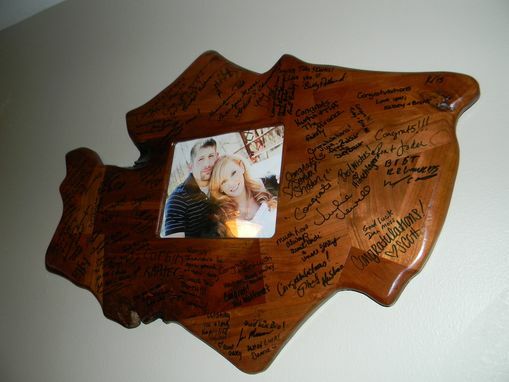 Brazilian Cherry wedding guest sign/picture frame wall mounted. Sold unfinished so guest can sign the plaque. 8"x10" picture frame. Made from random pieces. Lots of great comments. Can be made in an endless amount of different ways. Prices depend on material and complexity.